Soft, non-woven polypropylene fabric - fully breathable. For dresses, coats, jackets, suits, skirts, trousers etc. Lower eyelet hole allowing easy carrying when draped in half. 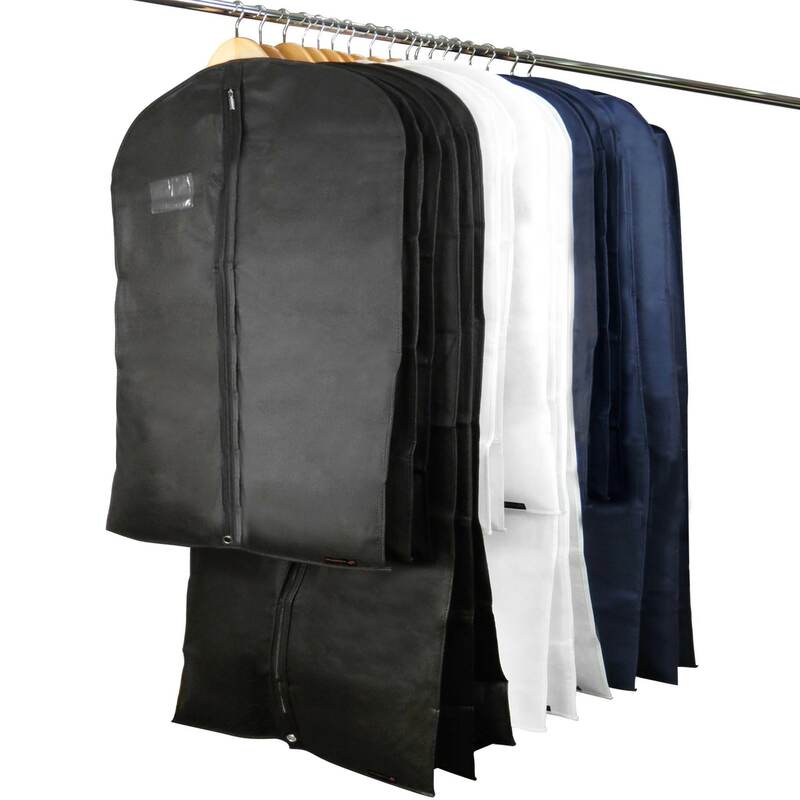 3 x suit length covers - Size: Length x Width 40‘’x 26'' (100 cm x 66cm) approx. 3 x dress length covers - Size: Length x Width 60'' x 26'' (150cm x 66cm) approx.